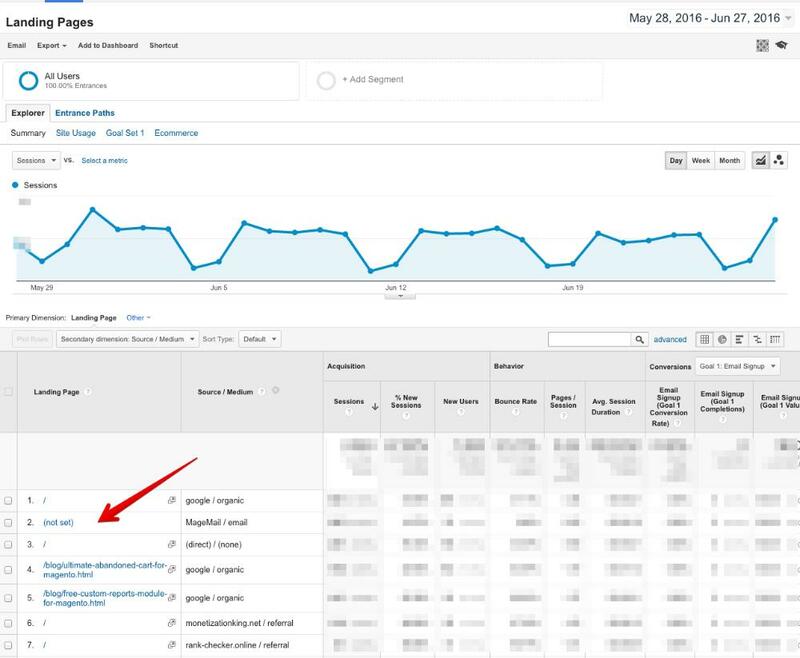 Why is Google Analytics showing (not set) in the Landing Page report? If you see (not set) in the landing page report it's due to sessions that are recorded via the Google Analytics open tracking, when the user never actually clicks through to the site. You can disable the GA open tracking if you'd like by removing the GA profile ID under Settings > Integrations > Google Analytics.